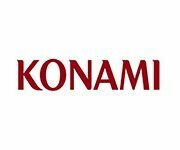 Konami Gaming is one of the leading slot machine providers for landbased casinos. They are a global company with offices all around the world including North America (HQ), Australasia, South America, Asia and Europe. Some of the most famous of their casino games are DUNGEONS & DRAGONS: Conquests and Treasures, Enchanter’s Game and Flamenco Fever.